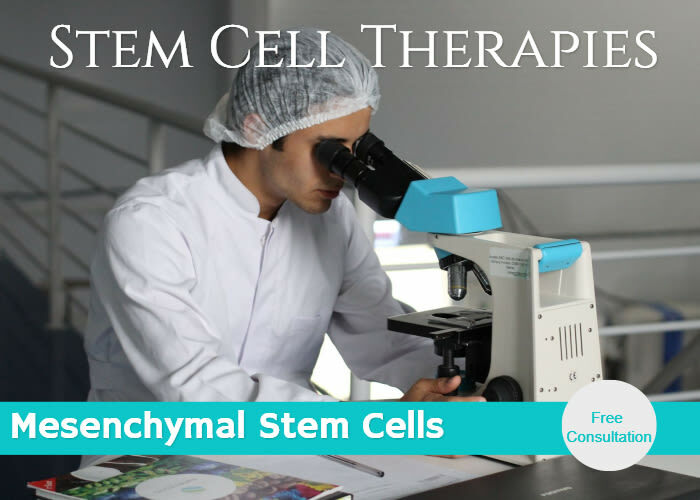 Dreambody Clinic Specializes in Mesenchymal Stem Cell Therapy. These stem cells are derived from Placenta and Wharton Jelly (Umbilical Cord Tissue). All tissue is donated from healthy live births. A blood panel is conducted first to ensure the patient is healthy and can accept the treatment. This is also useful to provide a baseline of health to compare to over the course of treatment. This procedure is done in the physicians office and takes an hour to complete the IV drip of stem cells. Preliminary Blood panel to ensure the patient is a clean candidate and there are no issues. We extract blood to spin up to get the PRP. The amount of blood needed to be extracted depends on how many injections the doctor deems necesarry. It is usually around 10ml. Once the PRP has been prepared we numb the patients face with a topical anesthetic cream and wait 5 minutes for it to numb up. The doctor then loads specialty insulin syringes up with the PRP and MSC Stem Cells. The doctor then injects the PRP + MSC into the face to restore a youthful appearance and reduce or eliminate lines and wrinkles. This procedure can take 1 to 2 hours depending on how much PRP is needed and the age of the patient. Knee issues are never fun to deal with. In the past the main option has been to get surgery to fix issues such as bone on bone wear, miniscus tears, ligament issues and cartilage issues. Now with Mesenchymal (MSC) Stem Cells with Platelette Rich Plasma (PRP) There is another option. MSC Stem Cells with PRP can be injected into the knee to help the knee repair. Each case is different and sometimes a knee does require surgery, but in many cases a simple injection of MSC + PRP would fix things up and save the patient from painful surgery and recovery. An MRI is done of the knee to determine the extent of damage. A blood panel is conducted to make sure the patients blood is okay for PRP. Blood is extracted from the patient to spin up and seperate the Plasma from the red blood cells. The PRP is put into a syringe with 22 million mesenchymal stem cells that are specifically formulated for this type of procedure. The patient is able to walk immediately after the procedure with the caveat that they should refrain from exercise or strenuous activity for a week. Knee Procedures get best results from 4 injections spread out over 4 months. Shoulder issues are difficult and painful. In the past the main option has been to get surgery to fix issues such as rotator cuff issues, bone spurs, ligament issues and cartilage issues. Now with Mesenchymal (MSC) Stem Cells with Platelette Rich Plasma (PRP) There is another option. MSC Stem Cells with PRP can be injected into the shoulder to help the shoulder repair. Each case is different and sometimes a shoulder does require surgery, but in many cases a simple injection of MSC + PRP would fix things up and save the patient from painful surgery and recovery. An MRI is done of the shoulder to determine the extent of damage. The patient sits on a medical bed and the injection is inserted into the Shoulder. The recovery can take from weeks to a month to fully occur, but we ask patients to refrain from strenuous activity involving the shoulder for at least 1 weeek. They can then return to normal routines and the shoulder will continue to repair. Major Shoulder issues are best treated with 4 injections. This means 1 injection per month for 4 months. Elbow issues are difficult and painful. In the past the main option has been to get surgery to fix Elbow issues. Now with Mesenchymal (MSC) Stem Cells with Platelette Rich Plasma (PRP) There is another option. MSC Stem Cells with PRP can be injected into the Elbow to help the Elbow repair. Each case is different and sometimes a Elbow does require surgery, but in many cases a simple injection of MSC + PRP would fix things up and save the patient from painful surgery and recovery. The patient sits on a medical bed and the injection is inserted into the Elbow. Major Elbow issues are best treated with 4 injections. This means 1 injection per month for 4 months. Wrist issues are difficult and painful. In the past the main option has been to get surgery to fix Wrist issues. Now with Mesenchymal (MSC) Stem Cells with Platelette Rich Plasma (PRP) There is another option. MSC Stem Cells with PRP can be injected into the Wrist to help the Wrist repair. Each case is different and sometimes a Wrist does require surgery, but in many cases a simple injection of MSC + PRP would fix things up and save the patient from painful surgery and recovery. The patient sits on a medical bed and the injection is inserted into the Wrist . The recovery can take from weeks to a month to fully occur, but we ask patients to refrain from strenuous activity involving the Wrist for at least 1 weeek. They can then return to normal routines and the shoulder will continue to repair. Major Wrist issues are best treated with 4 injections. This means 1 injection per month for 4 months. Ankle issues are difficult and painful. In the past the main option has been to get surgery to fix Ankle issues. Now with Mesenchymal (MSC) Stem Cells with Platelette Rich Plasma (PRP) There is another option. MSC Stem Cells with PRP can be injected into the Ankle to help the Ankle repair. Each case is different and sometimes a Ankle does require surgery, but in many cases a simple injection of MSC + PRP would fix things up and save the patient from painful surgery and recovery. The patient sits on a medical bed and the injection is inserted into the Ankle . The recovery can take from weeks to a month to fully occur, but we ask patients to refrain from strenuous activity involving the Ankle for at least 1 weeek. They can then return to normal routines and the shoulder will continue to repair. Major Ankle issues are best treated with 4 injections. This means 1 injection per month for 4 months. Spinal issues can be some of the most difficult problems to deal with. In the past the main option has been to get surgery to fix issues such as crushed vertebrae, spinal fusions, ligament issues and cartilage issues. Now with Mesenchymal (MSC) Stem Cells with Platelette Rich Plasma (PRP) There is another option. MSC Stem Cells with PRP can be injected into the spine to help the back repair. Each case is different and sometimes the spine does require surgery, but in many cases a simple injection of MSC + PRP would fix things up and save the patient from painful surgery and recovery. The patient lays face down on a medical bed and the injection is inserted into the area of spine that needs healing. Spinal treatments should be combined with Stem Cell IV treatment for best results. We recommend 2 to 3 million stem cells per kilo of body weight. The Dreambody Clinic Team is ready to help answer your questions today. Simply fill out the form and we will get back to you as soon as possible. Dr. Alfaro is a graduate of the University of Guadalajara. She is still involved in medical research at the Puerto Vallarta campus of the University of Guadalajara. She is currently in charge of treatments at the Dreambody Clinic. She has been certified by COFEPRIS (Mexico’s FDA) in Mesenchymal Stem Cell Treatments and Platelette Rich Plasma Therapies. Dreambody Clinic only uses Stem Cells from the accredited lab, Cryo Vida. Cryo Vida is owned and operated by renowned doctor Jose Medida Flores. Cryo Vida has been in operation for 14 years and has recently won honors from the Mexican Senate for his work with Stem Cell Therapies. 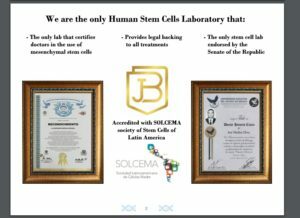 Cryovida is also a member of the SOLCEDA (society Latin America of Stem Cells). They are fully licensed and approved by COFEPRIS which is the Medical Regulators in Mexico, equivalent to the FDA in the USA. Dreambody Clinic only operates on the highest and most ethical level to ensure all of our patients have a great experience. We look forward to meeting you. Call 424-253-0165 for a free consultation.